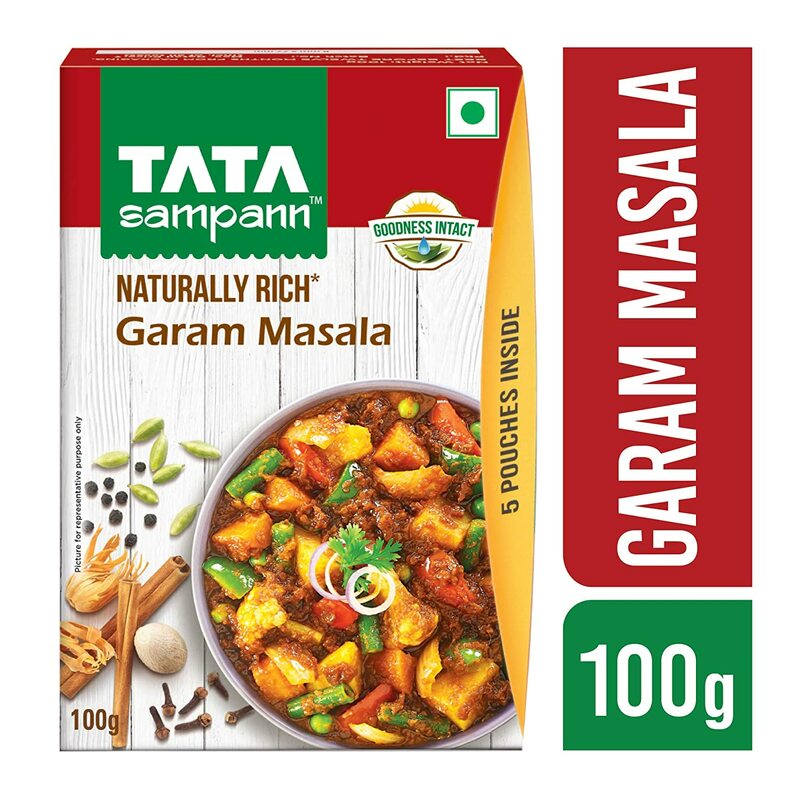 Deal – Get upto 50% discount on various Tata Masala like Tata Sampann Kitchen King Masala,Tata Sampann Dal Tadka Masala,Tata Sampann Paneer Masala, Tata Sampann Punjabi Chhole Masala, Tata Sampann Pav Bhaji Masala, Tata Sampann Meat Masala on Amazon India website. Following promotions are for very limited time, it may or may not available. Get 15% back on orders above Rs 4000 & 10% back on orders above Rs 1500 from Super Value Day or Amazon Pantry for ICICI bank customers. Get 10% back on orders above Rs 4000 & 5% back on orders above Rs 1500 from Super Value Day or Amazon Pantry for Amazon Pay balance customers. India is known to be the land of lip smacking recipes where the flavors leave you wanting for more. So here’s introducing Tata Sampann’s Kitchen King Masala, which lives up to its name by enhancing the taste of your food like never before. Garam Masala is a blend of ground spices used extensively in Indian cuisine. The spices for garam masala are usually toasted to bring out more flavor and then ground. Garam masala is usually added to a dish near the end of cooking.